Happy Halloween from Drakula, Frankenstein’s Monster, and The Wolfman! This is all vector illustration in Adobe Illustrator. I put the wacom tablet aside and used my trusty mouse only for this one. 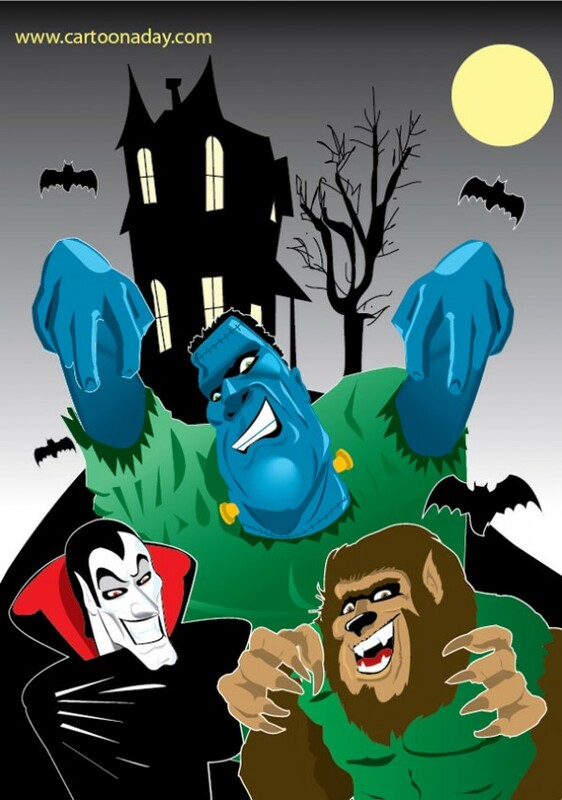 A cartoon showing Drakula, Frankenstein's Monster and Wolfman. They seem happy and not scary.